Uttar Pradesh(UP) Chief Minister Mayawati Sunday recommended removal of four ministers facing probes on corruption charges. The ministers removed by Mayawati included Higher Education Minister Rakeshdhar Tripathi, Agriculture Education and Research Minister Rajpal Tyagi, Minister of State (independent charge) of Backwards Welfare Awadesh Kumar Verma and Minister of State for Home Guards Hari Om. Official sources said the chief minister sent her recommendation to remove the four ministers to Governor B.L. Joshi. They said that the chief minister has also reallocated portfolios of the ministers who had been removed. The move is being seen as an effort by the chief minister to improve image of her government ahead of assembly polls in the state in Februray next year. The Election Commission had Saturday announced election schedule for Uttar Pradesh. 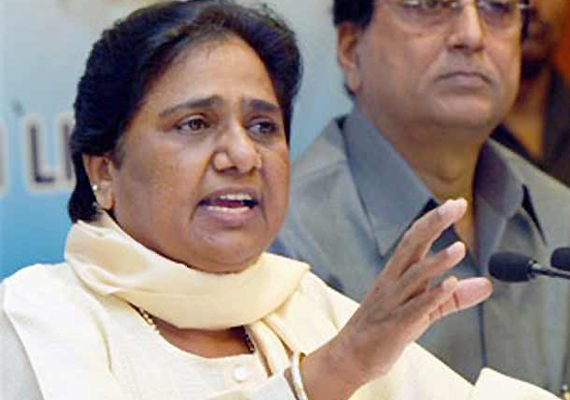 At least four of Mayawati's important ministers and nearly half a dozen of her party MPs or legislators have been axed over the past few months following charges including corruption and misuse of funds. The four ministers who were sacked today had already got whiff of their dismissal and were in touch with other parties for the last several weeks in order to get an Assembly ticket. Earlier, in April, Mayawati had sacked health minister Anant Kumar Mishra and family welfare minister Babu Singh Kushwaha after the scam in National Rural Health Mission surfaced followed by murders of two chief medical officers in Lucknow.